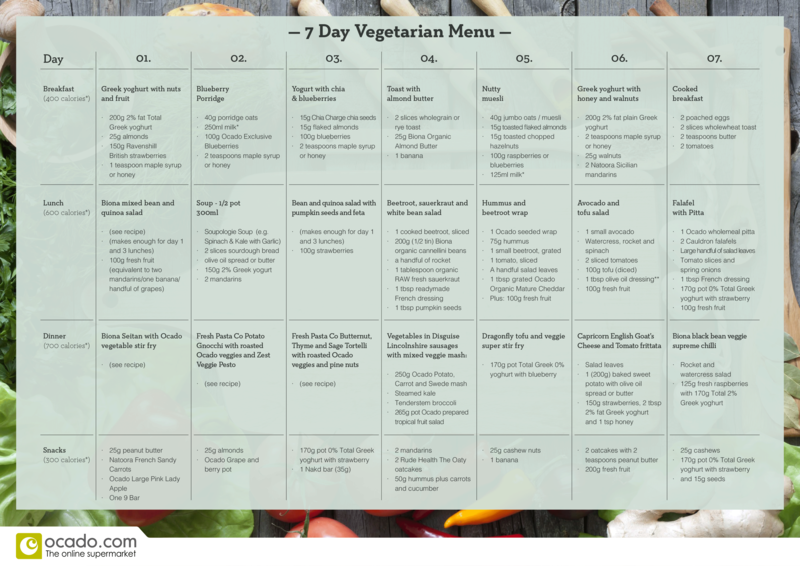 The Vegetarian Week Challenge begins today, but where to start? Nutritionist Anita Bean has designed a fantastic seven-day menu to get you inspired, with suggestions for breakfast, lunch, dinner and snacks for each day. Visit our blog every day this week for new recipes. 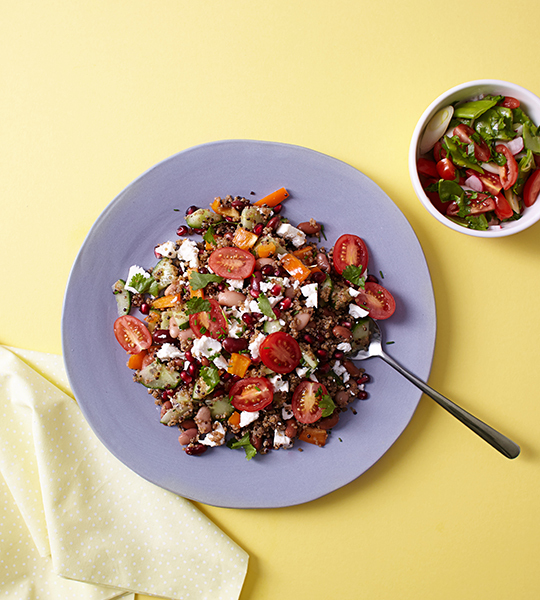 Combine the quinoa, beans, tomatoes, pepper, feta and pomegranate seeds. Dress with a splash of olive oil and a dash of lemon juice. 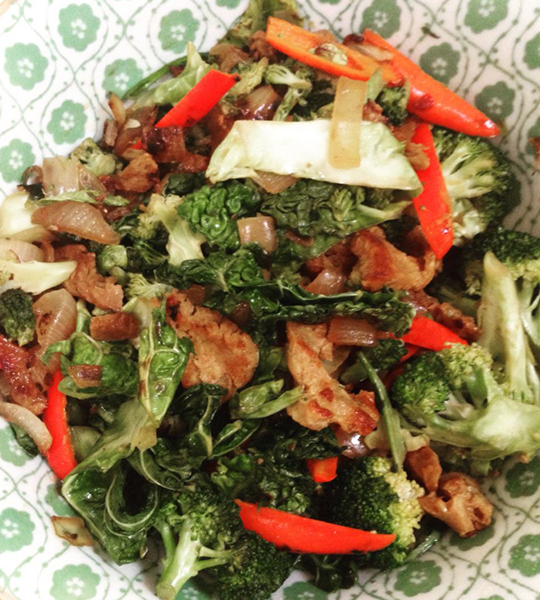 In a wok or pan, stir fry seitan in the oil for about three minutes. Add onions, pepper, broccoli and cabbage and stir fry for another two to three minutes. Add tamari to the stir fry and combine well, continuing to cook for another two to three minutes. Congratulations to our #vegchallenge winners Natasha Lipman (@nutritiouslynatasha on Instagram) and Cinnamon Sarah (@cinnamonsarahx on Twitter)! We can’t wait to see their pictures, as well as blogger @ruthwalters, who’s also taking us up on our challenge – make sure you follow them all for updates. Don’t forget to come back for tomorrow’s recipe.